The cradle hitch makes connecting and disconnecting the drive from the machine very easy for larger units, and when moving around the job-site the unit rests in the cradle and won’t sway side to side when driving. To suit all Backhoes such as JCB, Caterpillar, Case, John Deere, Komatsu, New Holland and Kubota. Heavy duty auger drive unit to suit Backhoes. 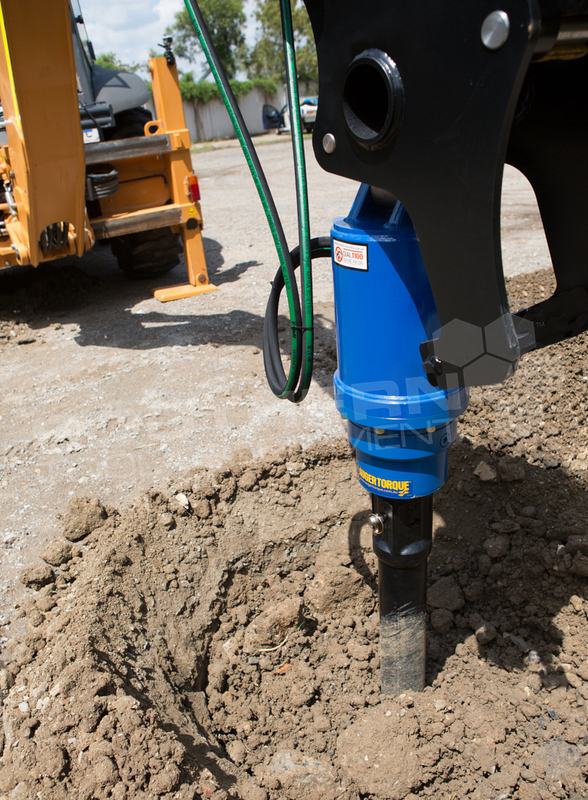 The AugerTorque Earth Drill 7000MAX – 15000MAX range is the perfect choice for backhoes and just like all our planetary drives in our line up they are over engineered and built to last. Uses 75mm Square Shaft AugerTorque S5 Augers with 1.57m Overall Length and 8mm Flight Thickness. 2.2m hydraulic hoses & flat face couplers. Let us know your backhoe hitch dimensions at time of order and hitch will be supplied to suit. ...and scoop up the savings! © Copyright 2019 Southern Tool + Equipment Co. ABN 84 120 627 303. All Prices +GST in AUD.